happy pitchers and catchers report day, Tribe fans! spring training is here and Cactus League games begin in just nine days! so what better time for MLB Network's Top 100 Players Right Now? the three-day countdown features hosts Greg Amsinger, Bill Ripken, and Ron Darling, as per usual. in six one-hour episodes between February 14-16, the Top 100 Players currently in Major League Baseball going into the 2018 season are being unveiled. this year's reveal is coming in 20-player increments in the first four installments, followed by the Top 20 in the final two shows, with the Top 10 broadcast airing live. MLB Network's research staff. it is based on player performances over the past three seasons (2015-2017), with the heaviest consideration placed on the most recent, along with projected player performances for the upcoming year. supplementary components are factored in as well, including defensive position, individual accolades, and the intangibles that a player brings to the game, such as team leadership. the competition to get into MLBN's Top 100 is almost overwhelming because there are so many talented pitchers and position players in both the American and National leagues to review. and then to have to decide where to rank everybody is a whole 'nother challenge. needless to say, the odds that fans will be content with the makeup and order of the final list are extremely unlikely. then again, it's sure to make for some interesting debates. after not making MLB Network's Top 10 LF list on January 27, i'm not surprised that he didn't appear on this one. Michael hasn't played a whole lot lately. in fact, he's only averaged 79 games in the last three seasons. that's not good. so i understand the argument for leaving him off the Top 100. but sadly, this is the first time he hasn't made the list since 2014.
the 2017 season was a tough one for Dr. Smooth because of a right ankle sprain that just wouldn't go away. he fought through it in the first half of the year, putting together very solid numbers and even making the AL All Star Team. but come August, he re-injured his ankle and missed 50 games while on the 10-Day DL, returning only for the Indians' final two games of the season. though he was rusty, he was included on the American League Division Series roster. still, he was pretty productive in the 90 regular season games he played, batting .299 and totaling 20 doubles, nine home runs, 52 RBI, 47 runs, 31 walks, 11 stolen bases, 150 total bases, and eight outfield assists. on the contrary, knowing that this is the year that carried the most weight in the determination of the Top 100 rankings, 2017 definitely wasn't Michael's finest. and it certainly was not the season that everyone wanted to see from him after he was out for all but 11 games in 2016 due to right shoulder and biceps issues. his 2015 campaign was by far and away his best all-around year that was part of the criteria for this list, when he bat .310 in 137 games. in regards to Michael's 2018 season predictions, the ones i've seen are not great. they're basically middle of the road and that's mainly because he's not being projected to play a full year. maybe it's being assumed he won't be healthy for a portion of the season yet again, or else he's been presumed as/demoted down to a part-time, platoon player. either way, this did him no favors in getting him on the Top 100.
as i pointed out when Michael didn't make the Top 10 LF list, these compilations are merely guesses. bottom line, only Michael can go out there and prove everybody wrong by finally being healthy enough to play a full year and having another outstanding season. if he does that, then those who create these lists can look back and kick themselves. 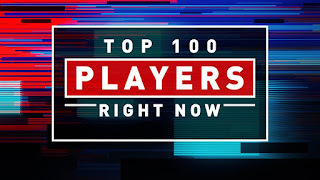 Michael might not be in the Top 100 Players right now, but he absolutely can be a Top 100 Player by the conclusion of 2018. i have no doubt about that. i still believe in him; a list like this isn't going to change that. going into 2017, Michael ranked 74th. going into 2016, Michael ranked 31st. going into 2015, Michael ranked 21st (in his Top 100 debut). going into 2014, Michael did not rank on the Top 100.
much like a year ago, everyone once again seems worried about Michael's health. this time, the concern is over the offseason right ankle surgery he had on October 18, 2017. at Tribe Fest on January 20, both manager Terry Francona and President of Baseball Operations Chris Antonetti provided an update on Dr. Smooth, sharing how Michael had recently gotten a recheck in Green Bay in the second week of January and was progressing really well in his rehab. earlier today we learned he's currently throwing the baseball, doing limited hitting, and running straight-forward, per Antonetti, via Jordan Bastian. Michael's expected to progress in his running program in the coming weeks and the outlook is positive. congratulations to all the Tribesmen on this year's Top 100! 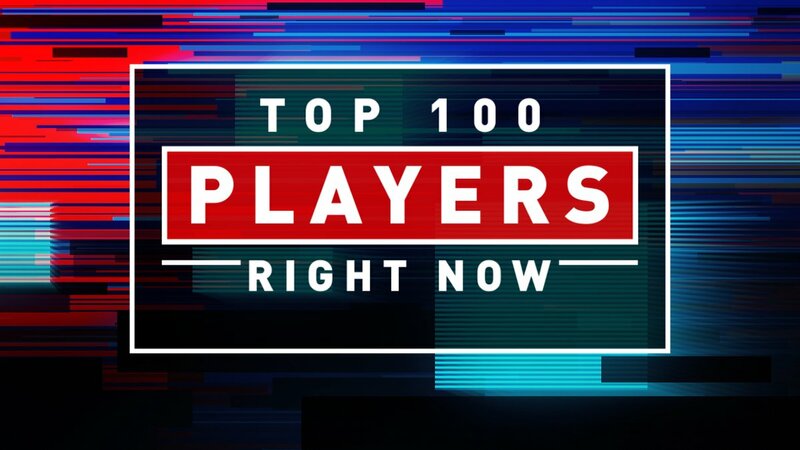 for the complete list of MLBN's Top 100 Players Right Now, click here. look over the full rankings and then let me know, what are your thoughts about the Top 100? do you believe someone was left off the list who should have made it, from the Indians or otherwise? and what about the placement? did anyone rank too high or too low? leave a comment below! personally, i have a problem with ranking a guy who didn't even play one Major League game yet. Shohei Ohtani of the Los Angeles Angels, even at #100, doesn't seem right. i don't care about the hype, let's see him on the field first. geez.